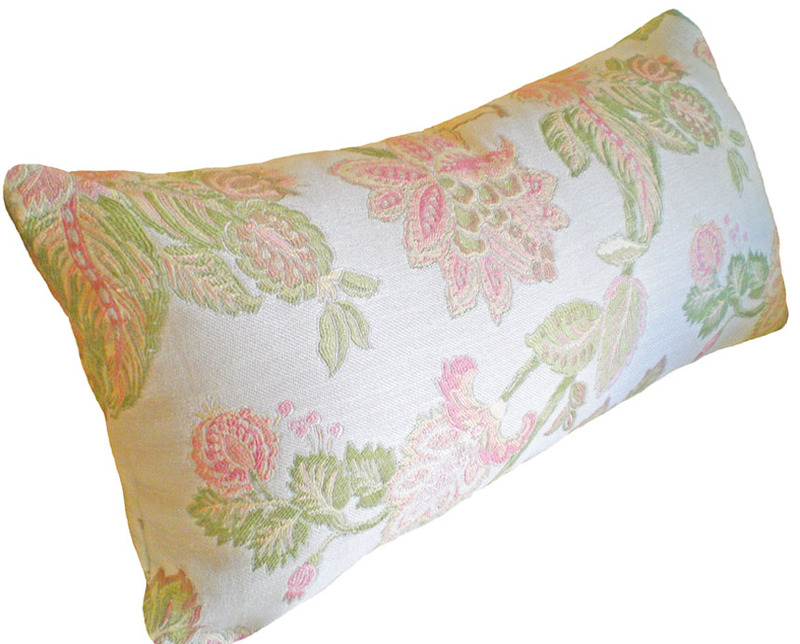 Add a delicate pink and green long pillow to your bedroom ensemble. Wouldn’t it be fun to win this throw pillow or pick a different one from over 130 different handmade pillows from Pillowthrowdecor? Value up to $40! Congratulations to Andrea : @ampaetka this summer’s winner. All Pillow Giveaway entries 1 through 10 (from the past 10 weeks) were entered into a Summer’s Over draw. Winner can choose any throw pillow up to $40 value. Check out my two stores on Etsy and icraft (links are on the tabs in the menu bar. Email me your selection at pillowthrowdecor(at)gmail(dot)com along with an address. I have 100+ more new pillows to be added to my store’s Fall line after next weekend… and I am not finished yet either!!! There will be MORE new handmade throw pillows in the store this week for sure. I sure appreciate you dedicated followers! Keep commenting and stick around… a whole new series of pillow giveaways is going to start again soon. Wouldn’t it be great to win a Christmas gift?? ?